Has God forgotten pity? Does he in his anger withold his compassion? This is my sorrow that the right hand of the Most High is changed, alleluia. Heavenly Father, You take no pleasure in the death of the sinner but rather in the sinner’s conversion that he may live. As You mercifully drew Your servant Margaret from the path of damnation to the path of salvation, grant that we may serve You with pure hearts. 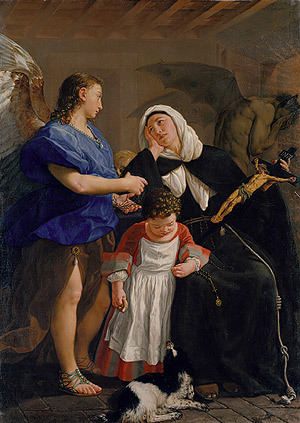 Read the story of this 13th century Third Order Franciscan penitent, Saint Margaret of Cortona, who sought to live in communion with Jesus, her Lord.